Children who, unfortunately, have to experience their parents’ divorce suffer from a variation of effects. Not all children experience the same effects and there are many factors which influence the extent to which each child suffers. 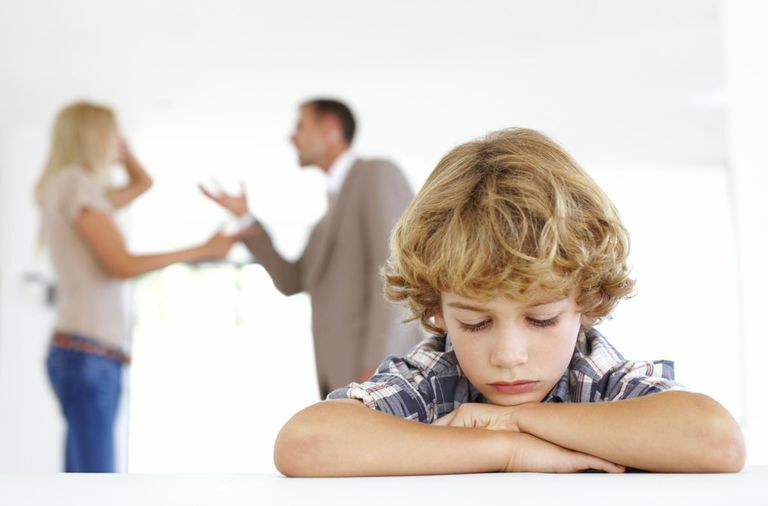 The following are the five most common consequences that occur when a child’s parents get divorced. Naturally, when the foundation of a child’s family is broken down, the child will experience a lot of trauma and confusion. They no longer have a stable home where they are protected by both a mother and a father. They are unable to form strong relationships with both parents because one parent will always be absent in the home. Children are also forced into a situation where, in many circumstances, they have to fend for themselves, leaving them feeling very troubled and secluded. All of the above contribute significantly to the child’s heartache. If not dealt with properly, this heartache and grief can affect them well into their adulthood. Depression is a mental disorder whereby the sufferer experiences chronic feelings of misery, neglect, disinterest, low self-esteem and discomfort. They also have disturbed sleeping patterns and often have a lack of concentration. Depression occurs in children when they no longer feel loved and safe – this causes them a large amount of trauma and they become stressed and worried. Children who come from divorced families often experience depression because the family unit and foundation of their lives has been disrupted to the extent where it cannot be repaired. They often have feelings of misery because they have to accept and deal with the fact that they have “lost” one parent. Even though the parents may have a joint custody agreement, the household in which they live only has one parent. This parent often suffers from low energy levels, has to deal with the loss of their spouse and their new financial position. This may cause the parent a lot of unhappiness which often brushes off on children. In addition to this, these children often feel neglected and isolated. Usually, there is so much focus on the divorce settlement that the wellbeing of the children is disregarded in the process. This forces the children to fend for themselves, and often they end up rebelling. In turn, children suffer from a low self-esteem and self-worth because they feel that if their parents neglect to care and support them emotionally, then no one else will.